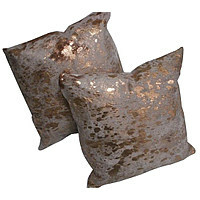 Metallic Cowhide Decorative Pillow - Swatches may be available. 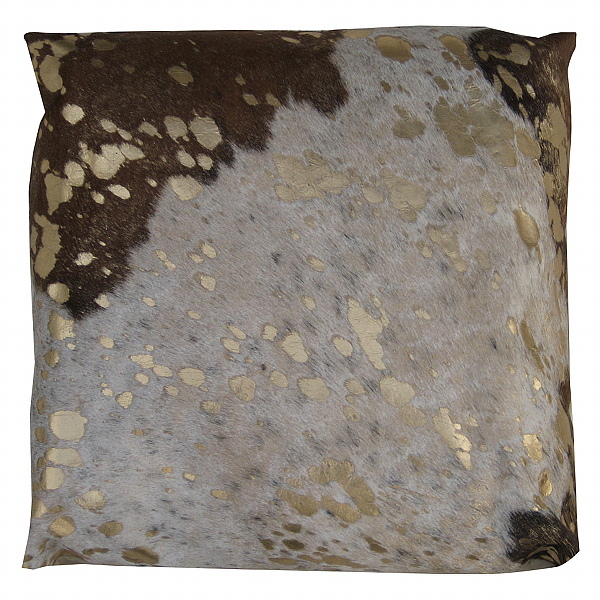 The cowhides used in these pillows undergo a special acid etching process to give them a metallic appearance. 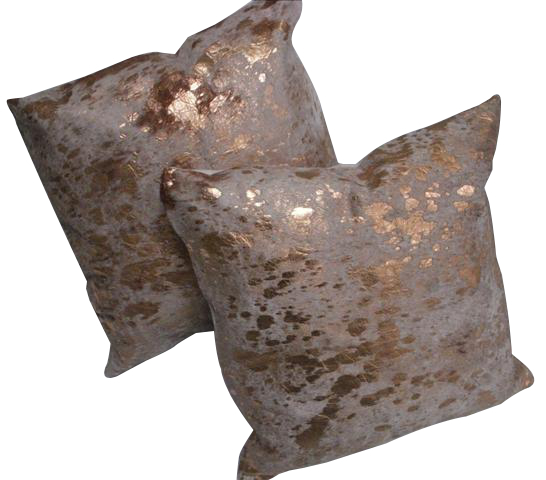 These metallic cowhide decorative pillows will make a unique and glamorous addition to your home. All pillows come with a polyester insert. This item is usually in stock. Please note that with any natural product, colors and fur appearance may vary from image shown. Metallic on one side only. The background behind the metalic can vary in color from different shades of brown and white to partially white and brown because it is a natural product. Every pillow in essence is unique and beautiful.